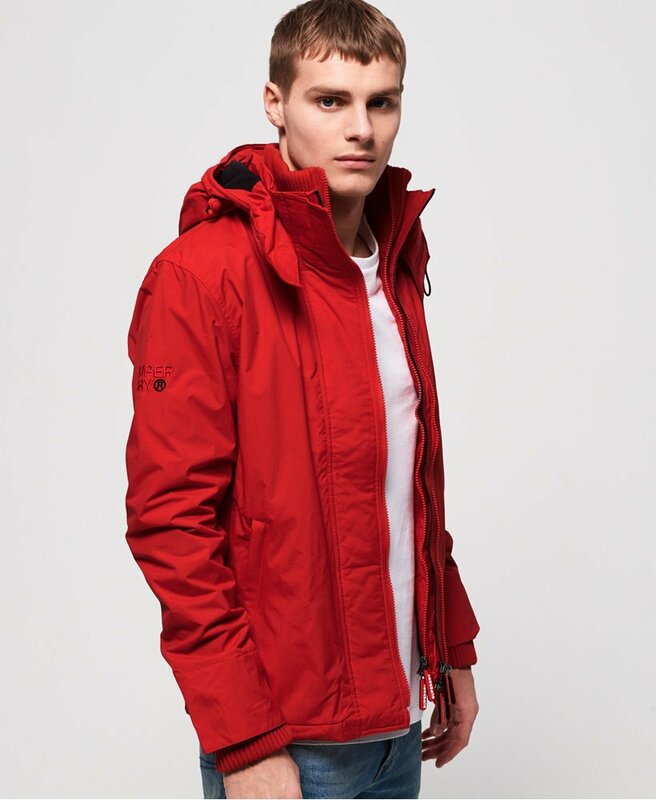 Superdry men's CNY hooded arctic pop zip SD-Windcheater. This jacket has been inspired by the celebration of the Chinese New Year. This windcheater features a bungee cord adjustable hood, triple layer zip fastening and a fleece lined hood and body for your comfort. This jacket also features two zipped front pockets and one inside pocket with popper fastening, perfect for keeping your essentials close by. This windcheater is completed with embroidered Superdry logo detailing on the sleeve, shoulder and back.